Each year, the federal government considers making inflation adjustments to the maximum amount of money that can be contributed annually to qualified retirement plans like Individual Retirement Accounts (IRAs) and 401(k)s. These adjustments, which are designed to help retirement savings keep pace with increases in the cost of living, are based on annual changes in the Consumer Price Index (CPI). On October 18, 2012 the IRS announced that the annual contribution limit for IRAs would be increasing in 2013 for the first time in five years. This year, you will be allowed to contribute up to $5,500 to a traditional IRA (or a Roth IRA if you are eligible), an increase of $500 over the 2012 contribution limit. If you’re at least 50 years old, you can contribute an extra $1,000 on top of this to your IRA, for a total annual contribution of $6,500 starting this year. In addition, the annual contribution limit for 401(k)s is also going up by $500 this year — to a total of $17,500. “If you’re at least 50 years old, though, you can contribute an extra $5,500 on top of this to your 401(k), for a total annual contribution of $23,000 starting this year,” says Aaronson. This is the second straight year that the annual contribution limit for 401(k)s has gone up; it also rose by $500 last year. At first glance, contributing an extra $500 a year to your retirement account might not sound like a big deal. But look at the potential impact this could have on your retirement nest egg over the long term: If you are 45 years old and make this additional $500 contribution each year (in the form of additional monthly contributions of $41.66) for the next 20 years, the $10,000 in principal you contribute will nearly double to $19,252 when you turn 65, assuming an annual return of 6 percent. And the extra $42 a month contribution? “That breaks down to about $1.40 a day,” Aaronson points out, “or less than some people spend on a daily cup of coffee. There are some other changes to qualified retirement plans scheduled to take effect this year that you should also be aware of, including some limits to the deductibility of IRA contributions. If you and your spouse are covered by another retirement plan (such as a 401[k]) at work, the amount of your IRA contributions that you can deduct (assuming you file jointly) will be reduced or phased out if your modified adjusted gross income (MAGI) is between $95,000 and $115,000. If your spouse is covered by a workplace retirement plan but you aren’t, the deductible IRA contribution amount is reduced or phased out if your MAGI is between $178,000 and $188,000. If you’re single and are covered by a workplace retirement plan, your deductible IRA contribution amount is reduced or phased out if your MAGI is between $59,000 and $69,000. Above these MAGI limits, no deduction for IRA contributions will be allowed. In addition, the maximum amount you can earn and still be eligible to contribute to a Roth IRA will rise this year from $125,000 to $127,000 if you’re single and for people filing as head of household and from $183,000 to $188,000 if you’re married and file jointly. 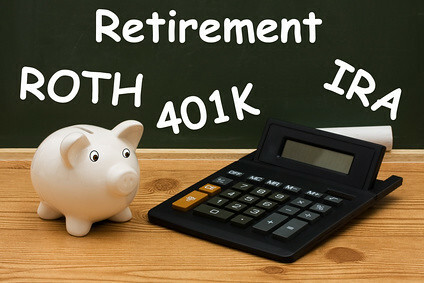 Roth IRA contribution amounts will phase out for individuals and heads of household whose adjusted gross income is between $112,000 and $127,000 and for married couples filing jointly whose adjusted gross income is between $178,000 and $188,000 this year. Material contained in this article is provided for information purposes only and is not intended to be used in connection with the evaluation of any investments offered by David Lerner Associates, Inc. (DLA). This material does not constitute an offer or recommendation to buy or sell securities and should not be considering in connection with the purchase or sale of securities.